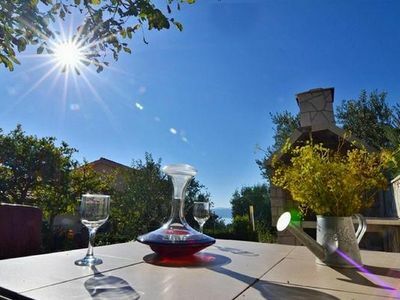 Comfortable, lovely and well equipped apartement in the grandfloor with direct entrance in a big mediteranien garden with own table and amazing view on city, islands and the sea. 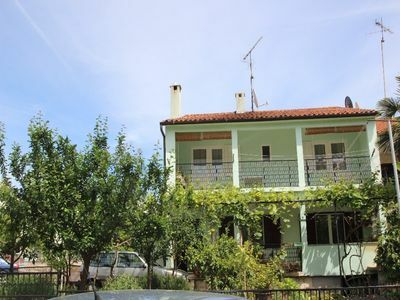 In a nice and quiet position on a sloap,district Veliko Brdo, cca 2 km from the beach and cca 2,5 km from city center / car necessary. 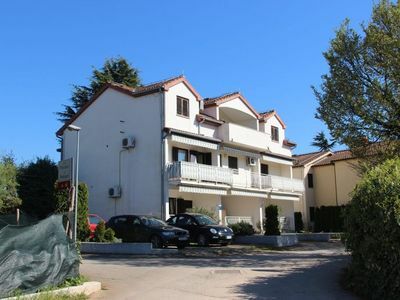 Accomodation: nice flat in the grandfloor 45 m2; 1 bedroom, big livingroom with sofa bed, well equipped kitchen, bathroom, south facing veranda and direct entrance in the garden, Satv. Barbecue and parking lot, homemade vine. Very suitable for family with children. We highly recommend this splendid and unique space in wich you can get away from a routine, everyday duties and relax. This is a wunderful place surely worth of your visit !